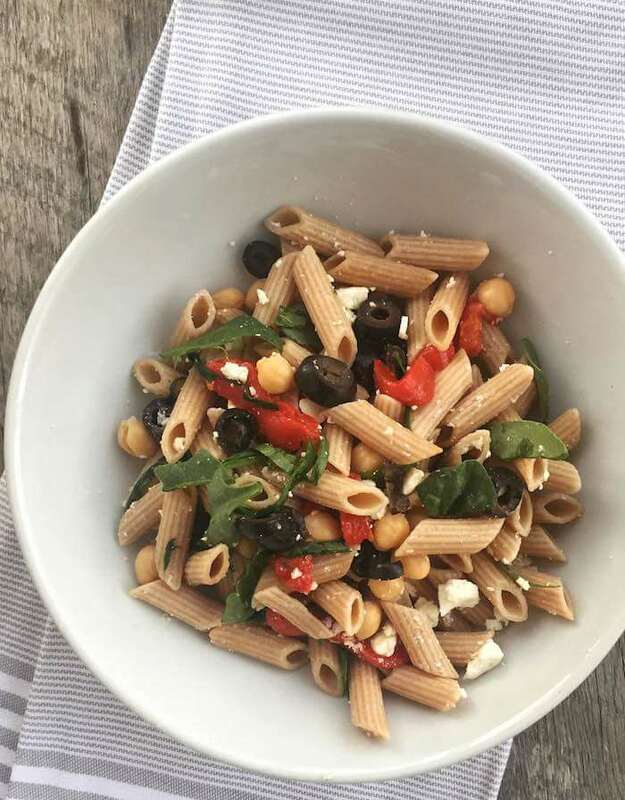 Feed a crowd, make entertaining easy, and please even the pickiest of eaters by setting up a pasta salad bar next time you entertain. Everyone eating can serve themselves and create their favorite flavor combinations. 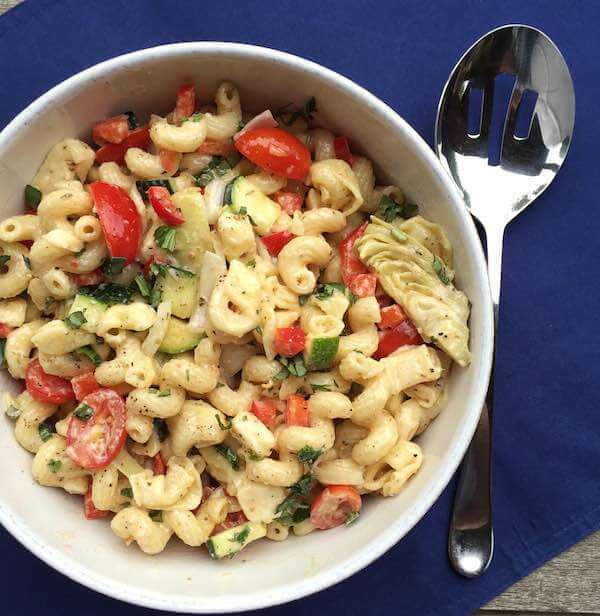 You can also choose one night a week to make pasta salad the main entree for a family meal and use up any leftover ingredients. 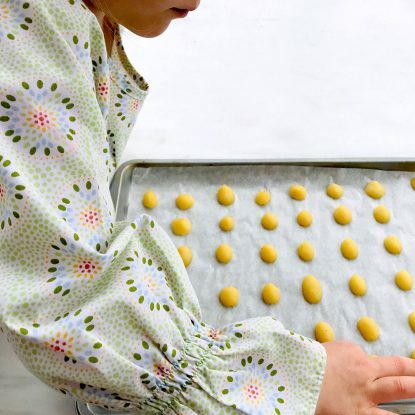 Setting up “bars” may be one of the easiest ways to feed a crowd with varying tastes and ingredient preferences. 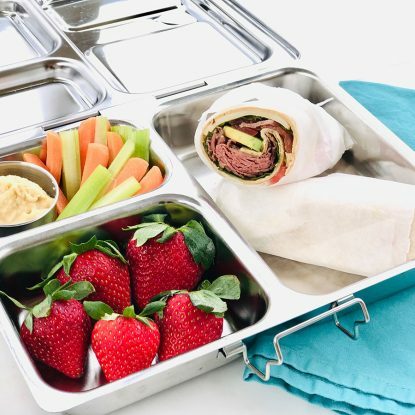 Whether it is a chili bar, taco bar, Dessert Crostini Bar, pasta salad bar, baked potato bar…. 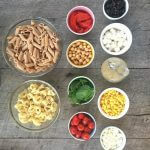 (this list could go on forever)….serving recipes deconstructed allows individuals to choose their favorites. And let’s not forget my darling, very choosy little ones that likely wouldn’t eat any pasta salad if it had something strange in it that they couldn’t pick out. 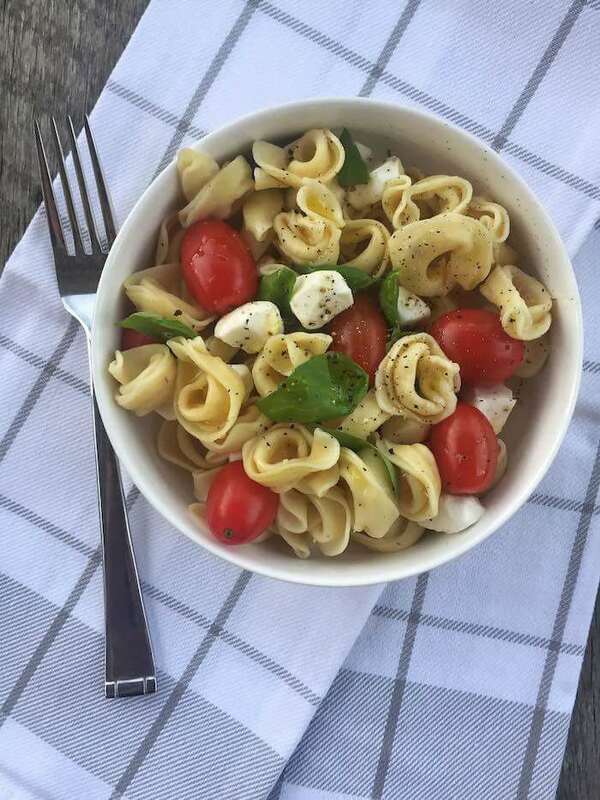 Below I’ve shared ideas for types of pasta, vegetables, seasonings, cheeses, proteins and more for an easy, crowd-friendly pasta salad bar. Do you love chaos in the kitchen as much as I do? What about when cute kids cause said chaos? 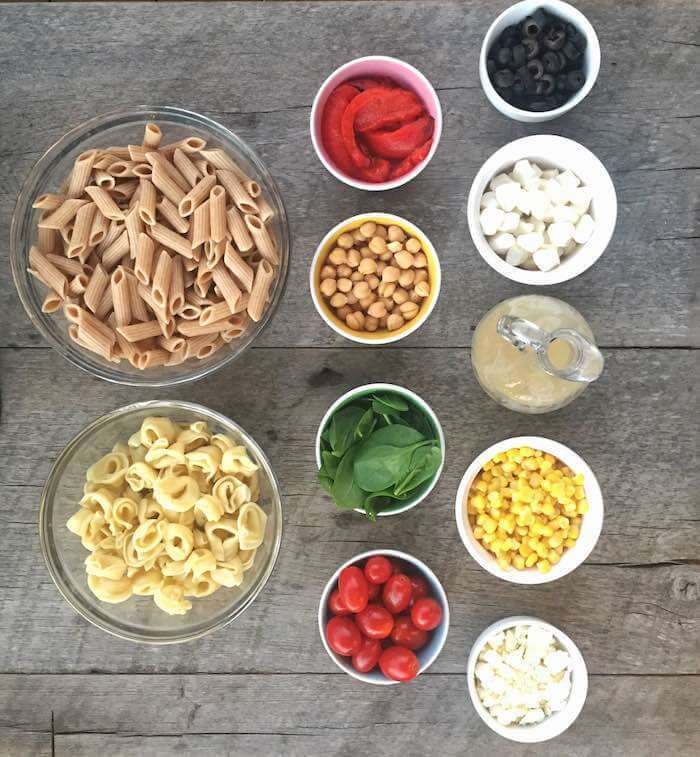 If yes to both of these questions then you can’t miss this Southern Living Facebook Live with Ellie, Frances and me sharing our tips on building a pasta salad bar! Literal chaos in the kitchen!! Have we connected yet? If not, make sure to follow me on Instagram, Facebook, Twitter, Pinterest and YouTube to stay up-to-date with all of my latest recipes, nutrition tips, cooking videos, and family happenings. Don’t forget to subscribe to my newsletter for the latest news, appearances, and more! Cook pasta according to package directions making sure to not overcook. 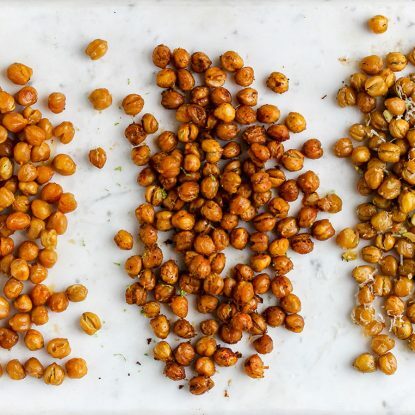 Drain, rinse with cold water then toss with olive oil to prevent sticking. Offer meat, cheese, and vegetables in individual containers. Mix together a favorite vinaigrette to serve alongside pasta salad bar or use a prepared dressing or pesto. Provide fresh herbs, salt, pepper and other desired seasoning for garnish. 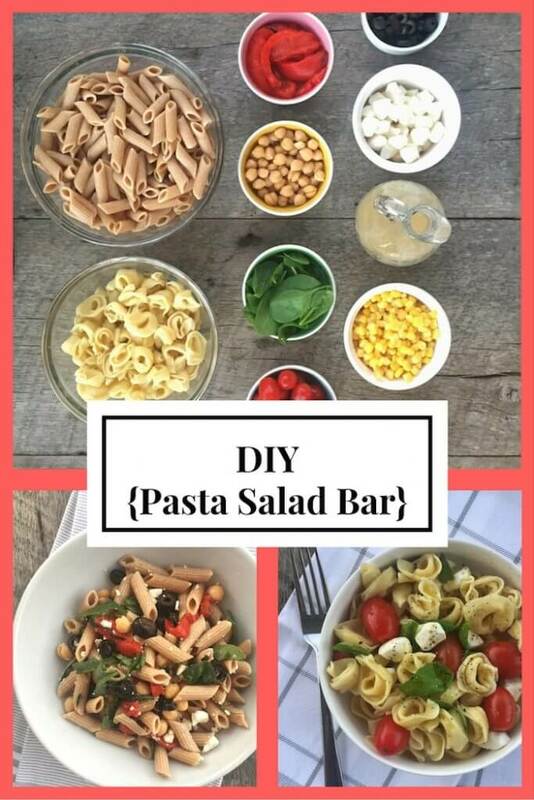 Use this guide when building your pasta salad bar. The ingredients can easily doubled to feed a larger crowd.